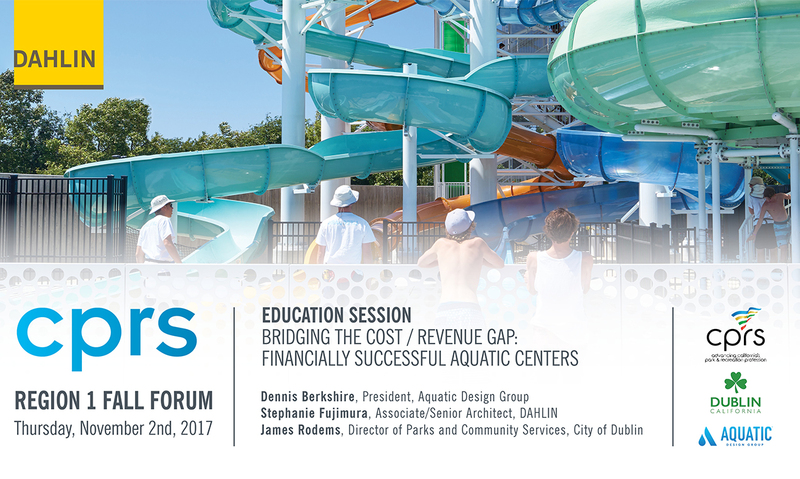 DAHLIN Associate/Senior Architect will be leading a Speaking Session at the 2017 CPRS Region 1 Fall Forum with Dennis Berkshire of Aquatic Design Group and James Rodems of the City of Dublin. CPRS Region 1 will gather at this comprehensive educational training for the Northern California districts (Districts 1, 2, and 3). This annual education and networking opportunity allows recreation professionals in the area to enhance their passion, connections, and professional development.